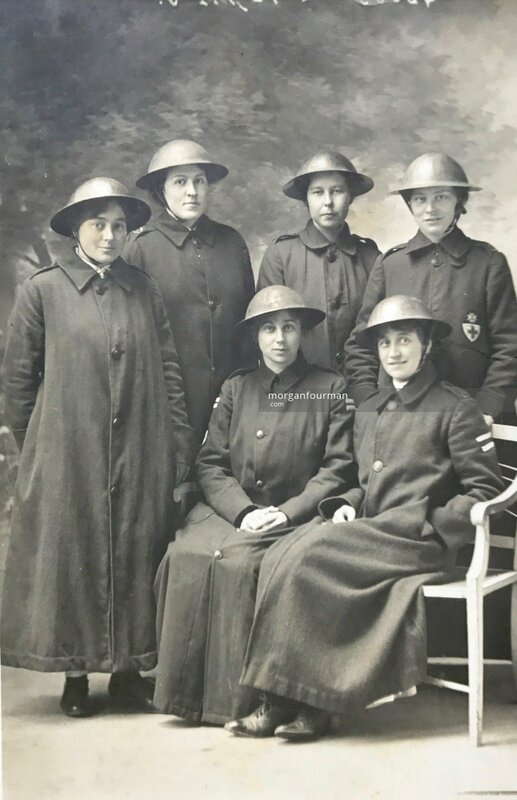 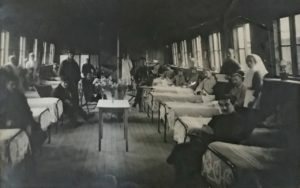 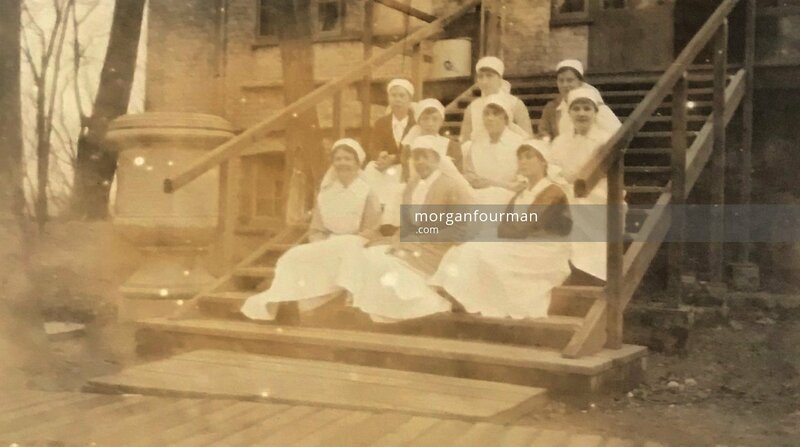 The Quakers ran the Friends’ Ambulance Unit including the Queen Alexandra Hospital in Dunkirk for most of the duration of the First World War. 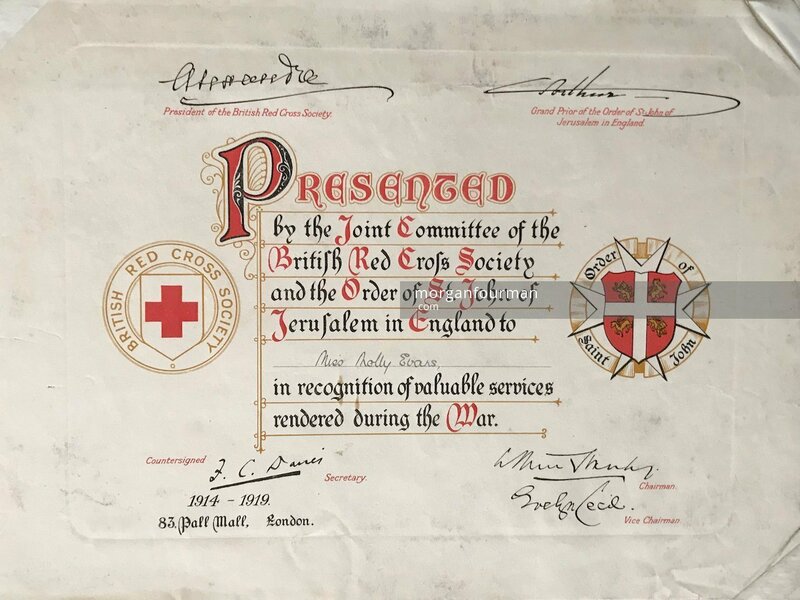 One of its purposes was that members of the Society of Friends should be able to carry out their patriotic duty without having to serve in the Military on conscientious grounds. However, it also recruited from beyond the Quaker community. 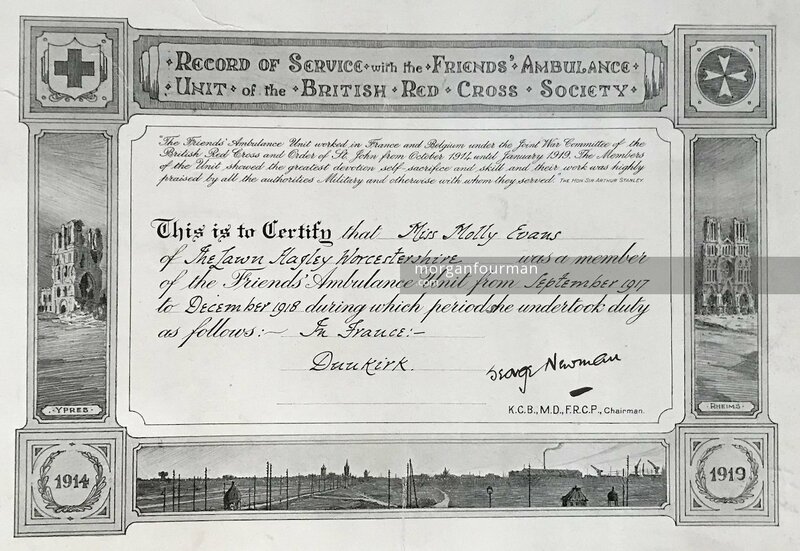 In late 1917 Molly Evans joined the Unit and arrived in Dunkirk on 14 September 1917. 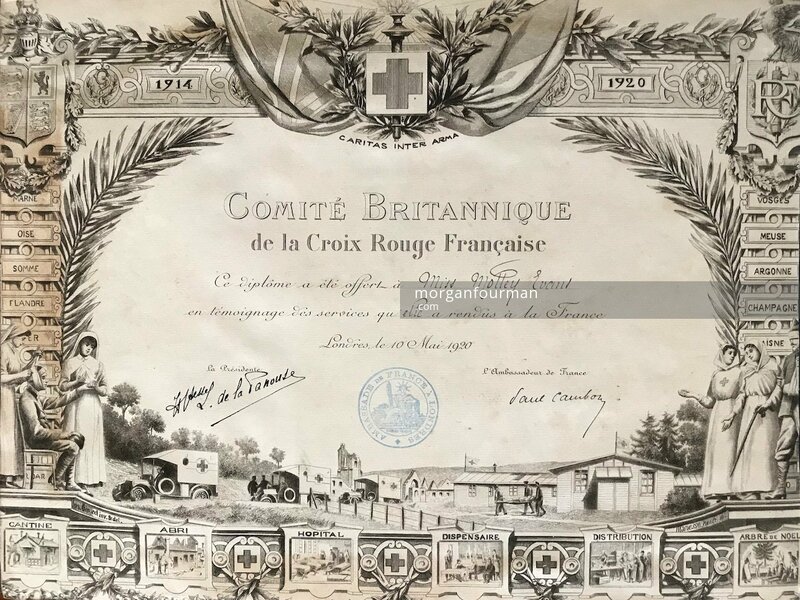 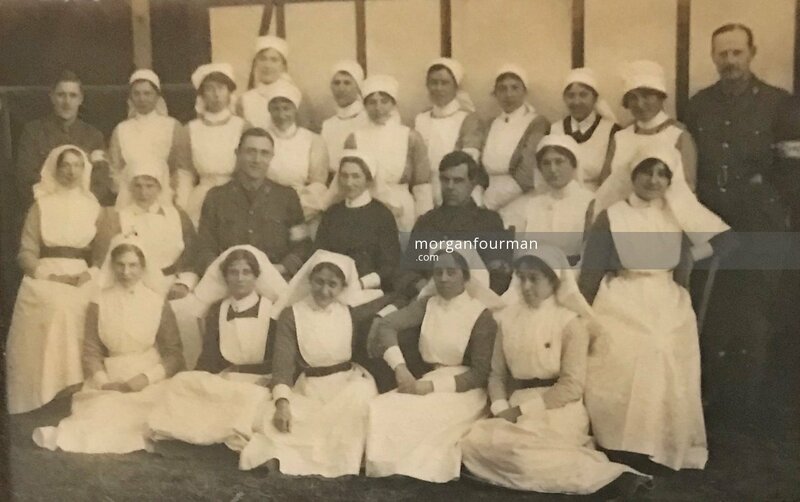 She was a highly experienced volunteer nurse and had already served in three different hospitals including a thirteen month long stint at the No 2 Hospital in Le Havre. 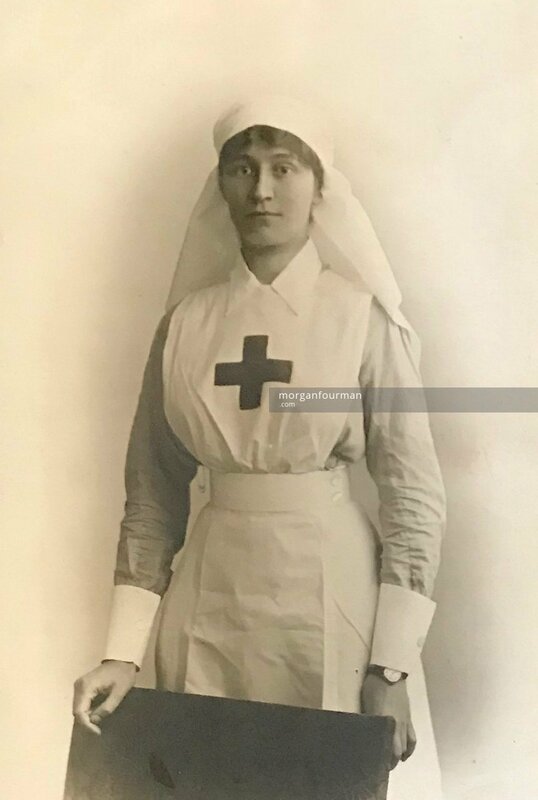 Here she had undoubtedly taken part in trying to patch up some of the carnage wrought by the big battles on the Western Front in 1916. 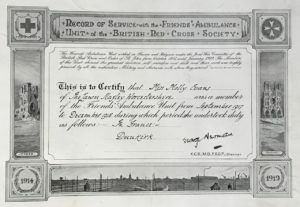 Amongst those killed on the Somme was her brother Wilmot Evans. However, by taking a posting in Dunkirk, Molly was even closer to the front line and was in range of shelling from long range German guns. 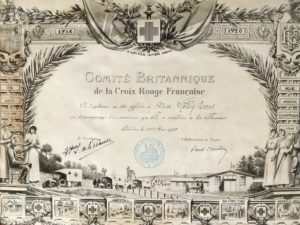 Her scrapbook has a lot of detail about her time in Dunkirk. 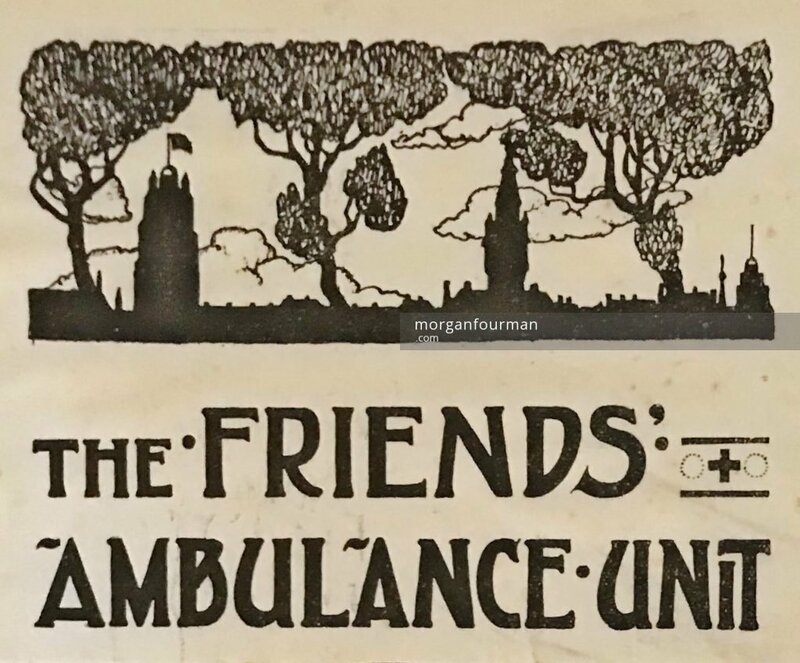 It contains a lot of sketches and drawings by fellow members of the FAU, Ernest Procter, Arthur Vickery and Allen Chandler. 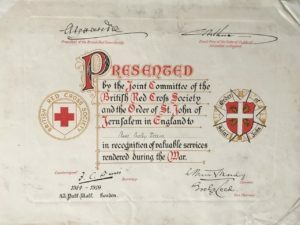 Her pocket diary gives a daily account of events of shelling raids, gas attacks and important dignitaries visiting the Unit. 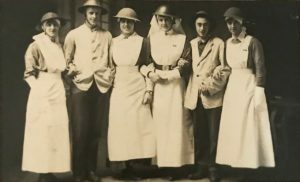 She spent two Christmases at the hospital. 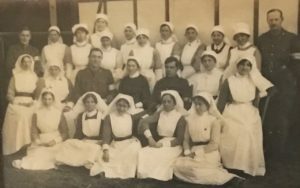 Her diaries record how she was working in the hospital when the Armistice was signed on 11 Nov 1918. 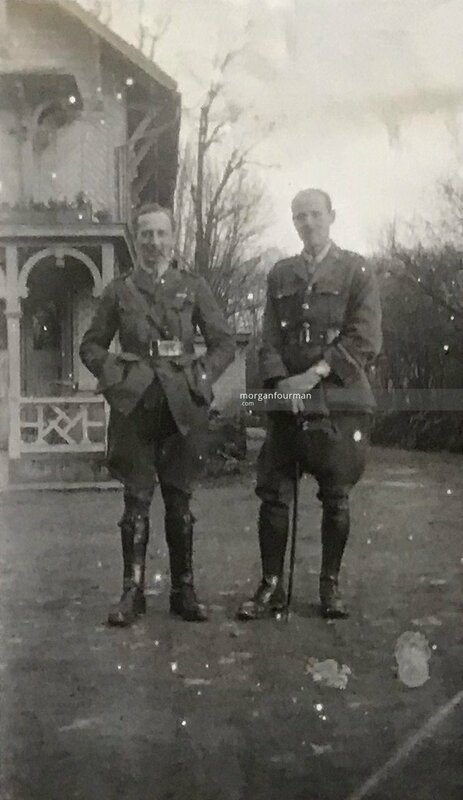 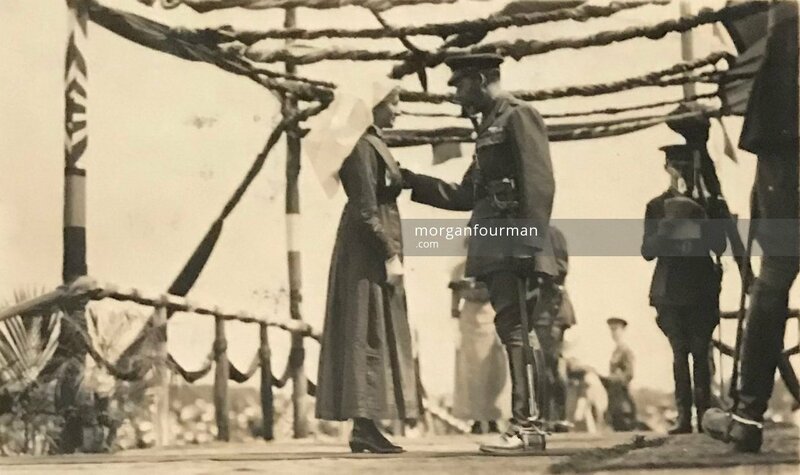 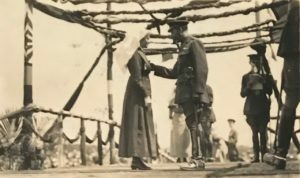 On 11 Dec 1918 she visited No Man’s Land in a car accompanying the PMO Dr Humphrey Nockolds and wrote up a detailed account. Molly left the Unit on the 27 Dec 1918.